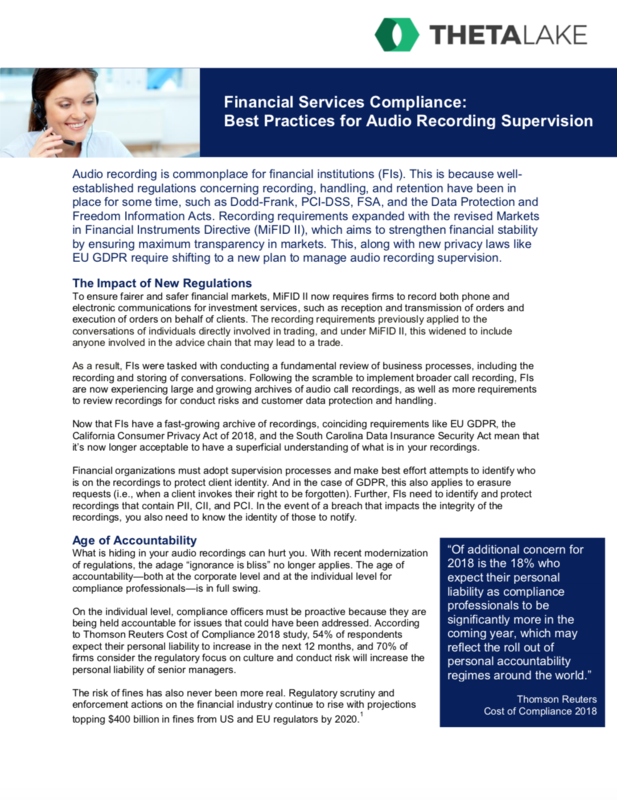 Audio recording is commonplace for financial institutions driven by well established regulations (Dodd-Frank, PCI-DSS, FSA and Data Protection and Free Information Acts) concerning recording, handling, and retention. Recording requirements expanded with the revised Markets in Financial Instruments Directive (MiFID II), which aims to strengthen financial stability by ensuring maximum transparency in markets. This, along with new privacy laws like EU GDPR require shifting to a new plan to manage audio recording supervision. With the increase in accountability on compliance professionals, compliance teams need to be more proactive with archiving and supervision of audio calls.